The current development of technology allows us to look at video in a panoramic way. By assembling several cameras, or through professional or desktop surround video cameras, we can film the world around in full surround video. Also for virtual reality, we can register a virtual walk in a panoramic way, by special plugins that create this surround video for the path that we follow through our virtual scene. 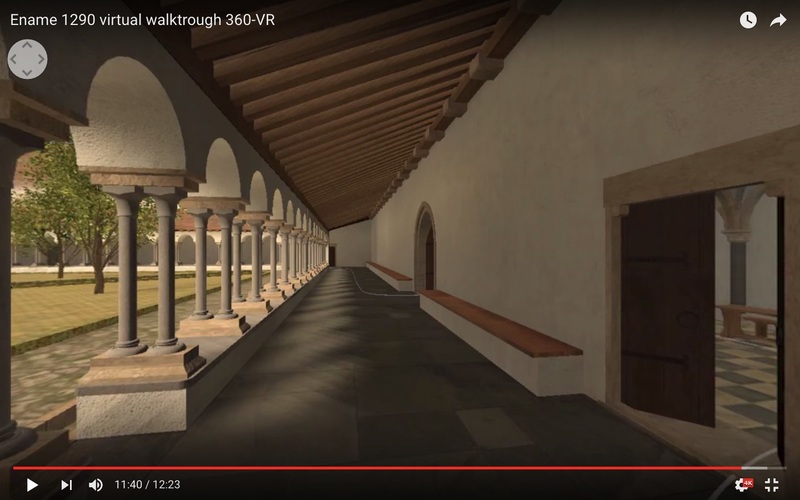 So we have made a surround video along a part of the path of the Ename 1290 virtual tour. Although you can look at this YouTube video on your desktop, the experience becomes much nicer if you see it through a pair of VR glasses. This sounds expensive but typically, you don’t need more than smartphone and something like Google Cardboard to have fun. Of course, you can use fancier stuff, such as the Samsung Gear VR or the Oculus Rift, but in fact, a simple 15 euro Google Cardboard does the job nicely. If you live in Flanders and you read De Standaard as newspaper, you should have received such a cardboard viewer for free with that newspaper. If you like it (and I’m sure you will), have also a look at our new Ename 1665 surround video trailer. 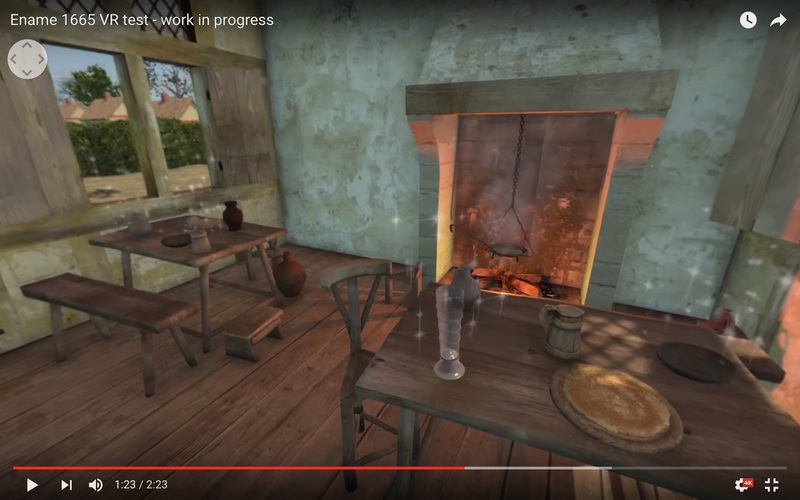 We are working hard to create a really nice VR experience for you, so have a look and enjoy! We updated recently the TimeLine application in the Ename museum. It shows the evolution of the abbey site from 1065 tot 1730, so it is in fact a 4D application, allowing to move around in 3D and time. In this TimeLine, the museum objects are linked to the 3D reconstructions of the abbey and the village. The visitor finds the objects in the period they originate from, on the place they have been excavated, with detailed additional information. In this way, each object is being re-contextualised in its own period and explained in more detail than the small written notice in the glass case can provide. For objects, that are difficult to understand, we have visualised the way they were used by 3D reconstruction. Rotating the virtual object reveals the use (shown in this video). In addition, the description of the abbey buildings, as presented in the onsite TimeScope system at the archaeological site, are also available for each of the periods. In this way, all the information on the archaeological site is available at any moment, as the onsite TimeScope is only opened from April 1 to November 1.